The first box here is my own custom design for players of the "Settlers of Catan" ® board game. 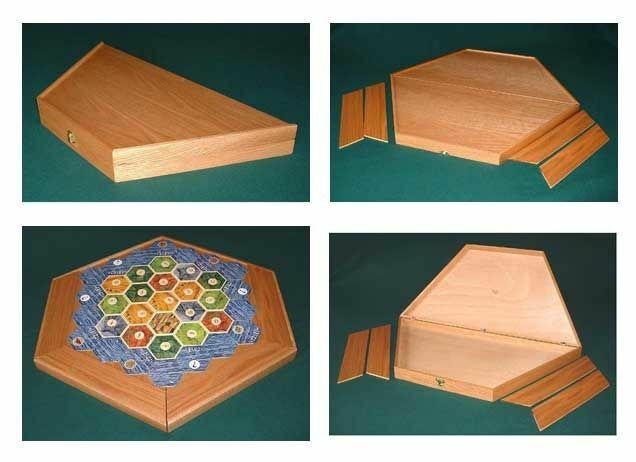 The outside of the box contains the multi-faceted game board so the pieces don't slide all over the table, and it supports both the 4 and 6-player versions. This project has been at least temporarily discontinued because I was never able to find the kind of hinges I wanted. Distressed Wood is a term that too often has come to mean wood that has been intentionally beaten up with tools to obtain an antique appearance. This second box was made as a protest of that definition, from oak boards sawn from barn beams that were approximately 150 years old. The worm holes, stress cracks and stains add a flavor that cannot be obtained by artificial means. 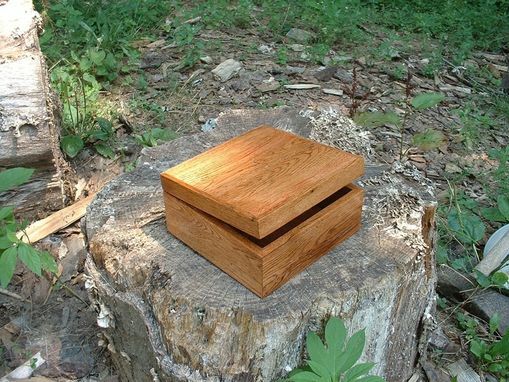 This Walnut Urn was built to hold the remains of my son after his unfortunate passing. 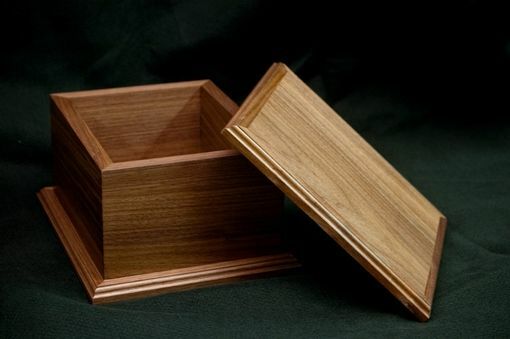 It is made from solid walnut, has reinforced corners, was assembled with waterproof glue and was sealed both inside and out with several coats of Polyurethane.